appointment to get your computer checked out for free. Normally we start off with our Free Computer Diagnosis. If you bring your laptop into our shop we offer a free diagnosis and repair estimate. During the diagnosis, we test the main components to make sure they test healthy and perform as they should. Then we will take a look at what software issues come up. We do an overall analysis of the operating system to make sure your firewall and virus protection are working and that windows security updates are installing as they should. We also check for viruses, malware, and other software issues that may be causing errors or sluggish performance. By testing the hardware, we are able to recommend the best repair service that would be a guaranteed fix for your laptop. Hardware faults can cause random issues – like sluggish performance, or random programs or files that won’t open, or blue screens (BSODs), as well as many other issues. If the hard drive in your laptop can’t read and write at the proper speeds, it doesn’t matter what we do to the software to clean it up, your laptop will still run like junk until we fix the main issue… – a failing hard drive. We want to make sure that the repair service we recommend is going to fix the problem. We also want to make sure that your laptop is worth spending the money to fix it. Here are some common issues we see with laptops and are INCLUDED with every laptop tune-up service. How long does the diagnosis take? Our free diagnosis usually takes 24 hrs or less; however, on rare occasions, it may take longer. If for some reason we need more time to complete the diagnosis, we will keep you posted. How long will it take to get my computer fixed? We work pretty quickly. 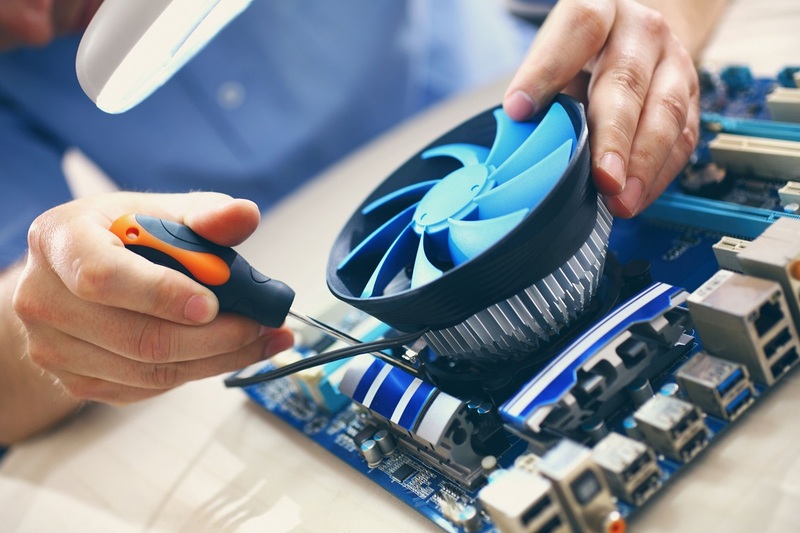 Our normal turn-around time for a diagnosis and completed repair service is 1-2 business days unless we need to order a replacement part to fix your computer, which can take a few days longer. How much will it cost to get my computer fixed? 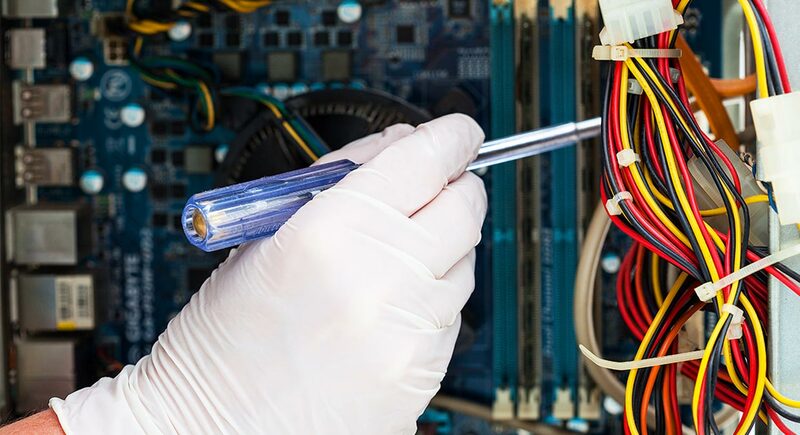 It depends on the repair service needed; however, our computer repair prices for in-shop repairs range from $39 – $150. We never charge more than $150 in labor to repair a computer, even if there are multiple problems with it. Ready to put some life back into your computer? Justin helped me quite some back when the hard drive in my desktop crashed. Very low pain level considering what happened and a reasonable charge. I've been cooking well with my desktop until recently, until it became slow or not loading at all. He came to my house, did diagnostics and a great clean up. It is operating at lightening speed now. We went over what was wrong, what all he did to fix it and threw in some extra hand-holding. All for a very reasonable price. I am very happy with the work done by Hart Computer Solutions and the great customer service provided. Hart computer solutions is a great place they help with anything. Really good pricing and great customer service when you walk in it even call great help. I would always have them fix my computer when I need the help. I am a pretty tech savvy guy. When my PC crapped out I did the usual, PSU test, made sure all connections were good, removed everything reinstalled everything, still dead. At that point I would have had to of thrown parts at it until I got it to finally post. Hart computer solutions spent time diagnosing it and got it right costing me a quarter of what it would cost for me to fix it myself or outright build a new rig. Excellent customer service, Justin kept me posted with updates with everything that was going on with my PC. He did a free diagnostic and notified me with pricing related to parts and labor before he worked on it. I had taken my PC to Data Doctors next to Bashas and they wanted $99 just to do a diagnostic test on my PC. Even though that $99 would have been applied to parts and labor I would have been out that money if I would have opted not to proceed with the repairs. With the free diagnostic that Justin over at Hart Computer Solutions provided I could have have said no to getting it fixed and not have spent a cent. Justin fixed it and it's like new and I'm very pleased with his work. He was very professional and pleasant to work with. Thank you Justin!. Went to Best Buy and the "Geek Squad" wanted to sign me up for a new warranty program for $300, then charge me parts ranging from $50-100, so all in all over $400 just to fix it, then tried to charge me $30 for an antivirus, then told me they can just sell me a refurbished laptop because it would be smarter. Then took it to Hart Computer Solutions which ran a free diagnostics, charged me $250 to fix the issues, updated me to Windows 10, and help set up the profiles. NEVER going back to the Geeks, definitely would recommend Hart to everyone! My desktop computer went nuts. Tried fixing it myself, but couldn't. I searched online and found Hart Computer Solutions. I'd never heard of it, but decided to call, and am I happy I did. Justin came out that afternoon! He not only found the problem immediately but made suggestions about the computers in our house. Bottom line: Not only is my computer fixed and upgraded, but my husband's desktop and our laptop are up to date and ready for several more years of good performance. The price was very reasonable, the communication with Justin was great, and I will never use anyone else again!!! I have had excellent experiences with Hart and my encounters with Justin. He has always explained what he found in language that was easily understood by me. The prices are incredible! I KNOW I could not find a better deal out there! SO happy my friend referred me to them!! Had a great experience with Hart Computer Solutions today when they installed a new, bigger hard drive in my old laptop. Excellent, friendly, competent service at a price that was more than fair. I highly recommend this team! Justin solved my laptop problem via email without me having to take it in! He has serviced my computers for several years, does a great job and charges reasonable rates. Justin did a great job in fixing my computer I would definitely recommend. Justin is the best!! He diagnosed my problem as some bad sectors in my hard drive. He gave me a choice of buying a new one which would take a few days or he had one that was almost new that he could give me a good discount & could have me up and running quicker. I chose the latter. He had it ready the next morning & transferred everything to the new drive. The price he charged I feel was very reasonable in fact less than I thought. I highly recommend him. He knows his stuff & won't take you to the cleaners with price. I now have a permanent computer guy. Thanks Justin. Justin fixed my lap top after the screen gave out, I would highly recommend him for all your computer repair needs. He was courteous, honest and timely!!!!!! I will go back to him for any other computer issues. I will definitely continue to do business with Justin at Hart Computer Solutions. Justin was very professional, courteous, and most importantly seems to be an all around genuine man. It is not easy to trust someone with all of your personal and professional business on a computer; however, I feel confident that Justin is credible. He took the time to go beyond what he said he could do. Justin is the best! He fixed everything that was wrong with our computers and is always there when we need him. Thanks guys! Copyright © 2017 Hart Computer Solutions, LLC. All Rights Reserved.